It was a whirlwind summer for Ariana Grande. The death of her ex-boyfriend Mac Miller and her highly publicized engagement to “Saturday Night Live” star Pete Davidson coincided with the lead-up to the August release of her album “Sweetener.” All the while, Grande continued to struggle with her mental health in the aftermath of the Manchester concert terrorist attack. With all of it came the internet’s usual storm of vitriol and anonymous hate. The dust around her never seemed to settle. How does a celebrity respond to cruel gossip and internet toxicity without stooping to its level and replicating the cattiness herself? In “thank u, next,” the single she dropped on Saturday, Grande opts for brazen self-empowerment, reaffirming that she has never depended on a man to be relevant. 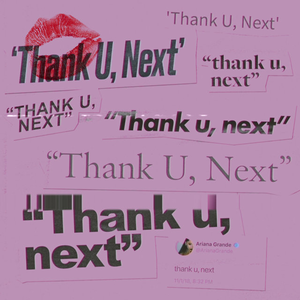 Lyrically and compositionally, “thank u, next,” could be faulted for its simplistic chorus. With another singer, the repetitive four-note verse motif and two-note chorus melody might have sounded grating. But with her four-octave vocal range, Grande makes difficult riffs sound like off-the-cuff vocalizing. She’s effortless, from the notoriously difficult bel canto whistle register of Mariah Carey’s “Emotions” to a belted rendition of “The Wizard and I” for an anniversary special of the Broadway musical, “Wicked.” While it doesn’t reach the upper limits of her (seemingly infinite) register, “thank u, next” is no exception when it comes to exquisite vocals. Grande is a powerhouse, and she flexes in smooth, floaty melismas and layered, multi-part harmonies. The strongest suit of “thank u, next” is its precision. 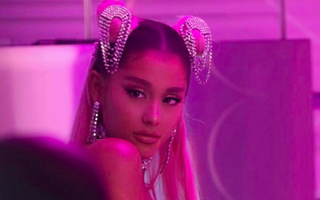 Here, Grande moves past the oversimplified rhetoric of generic female empowerment (“You’ll believe god is a woman,” “I’m so successful”) and the gauzy sugar of love songs (“I’m so into you,” “I need to be the one who takes you home”). This level of specificity is a territory where few singers have gone before. Even Taylor Swift, a certified pro at thinly veiled references to exes, tries to keep a front of mystery, in hopes of leaving room for interpretation. Ariana Grande puts a new spin on that tradition by lifting the veil and dropping names. She doesn’t want to be excluded from that narrative. She wants to write it herself. And the song is a smash. 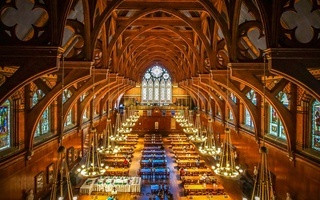 —Staff writer Caroline A. Tsai can be reached at caroline.tsai@thecrimson.com. Follow her on Twitter @carolinetsai3.